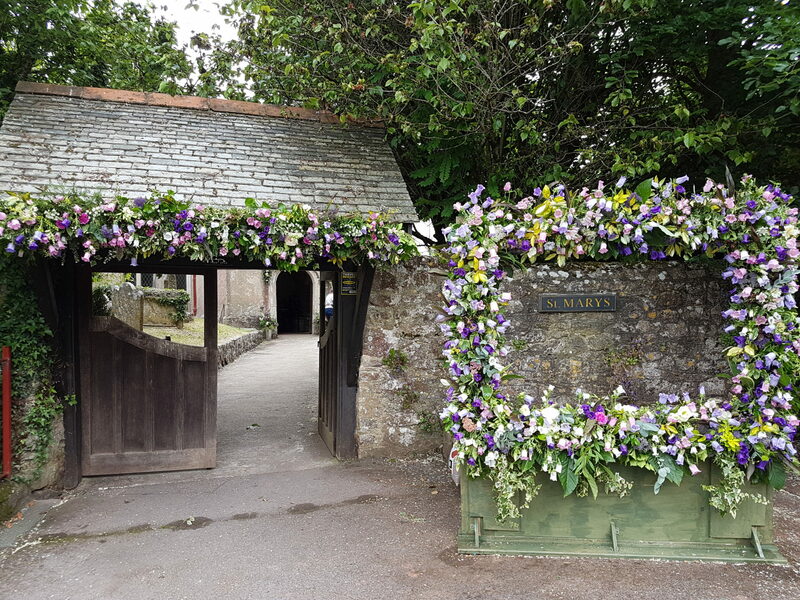 Every Thursday morning I teach an advanced recreational class in Newton Abbot, and we have been coming together now for ten years. 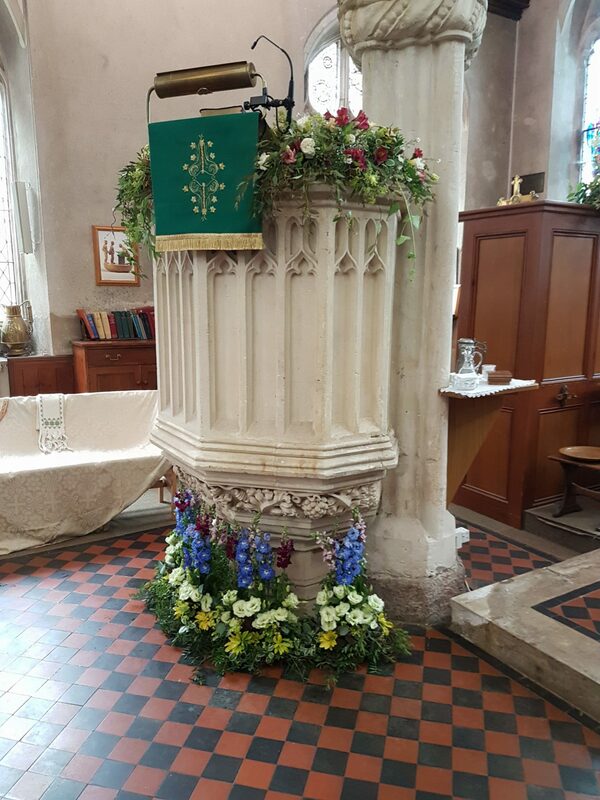 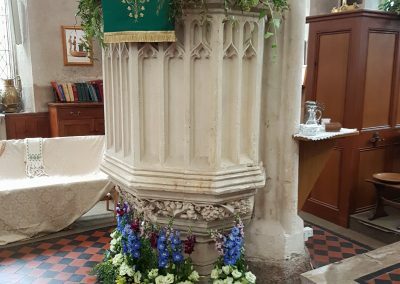 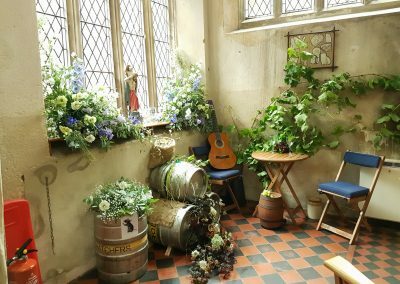 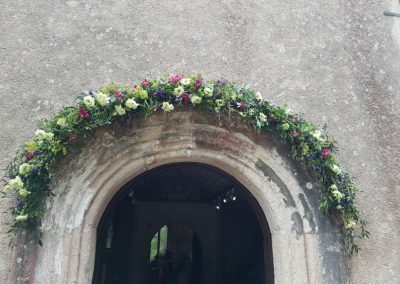 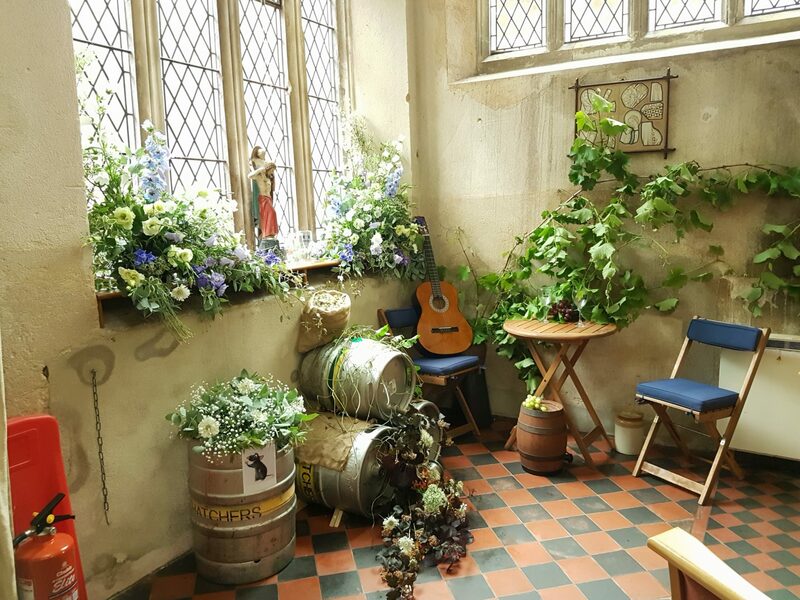 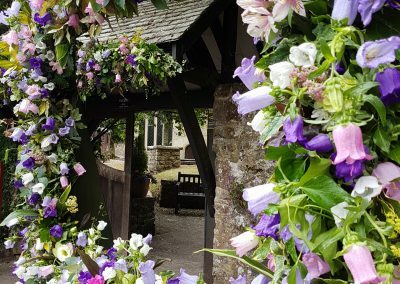 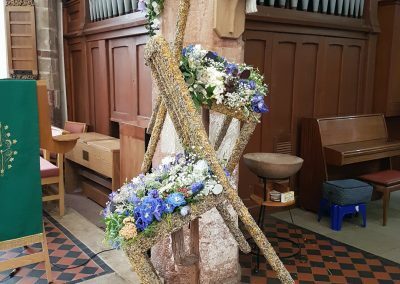 Jenny Benny who has been with me from the start asked whether the Academy would help her decorate KIngskerswell Church in June to celebrate the retirement of the vicar. 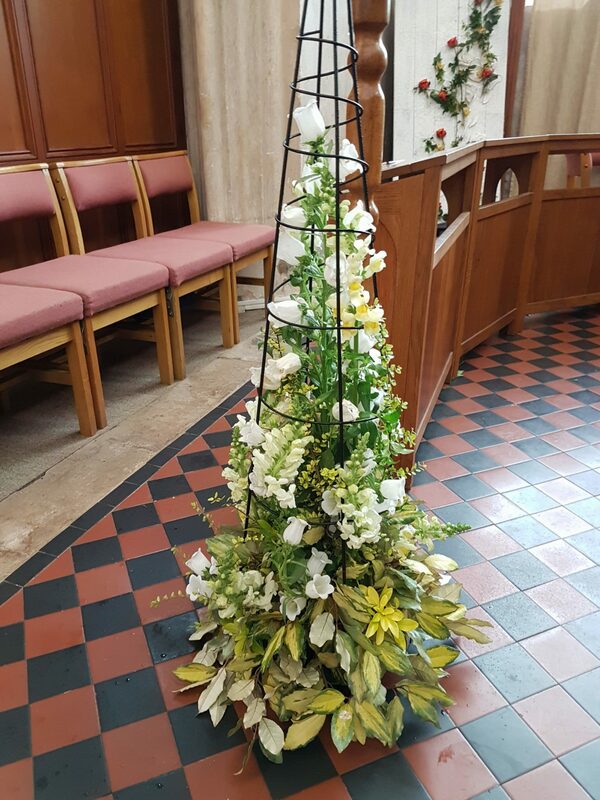 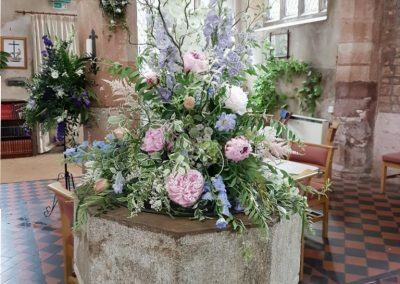 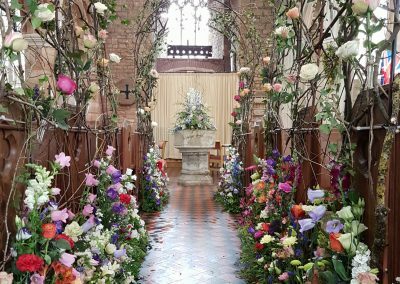 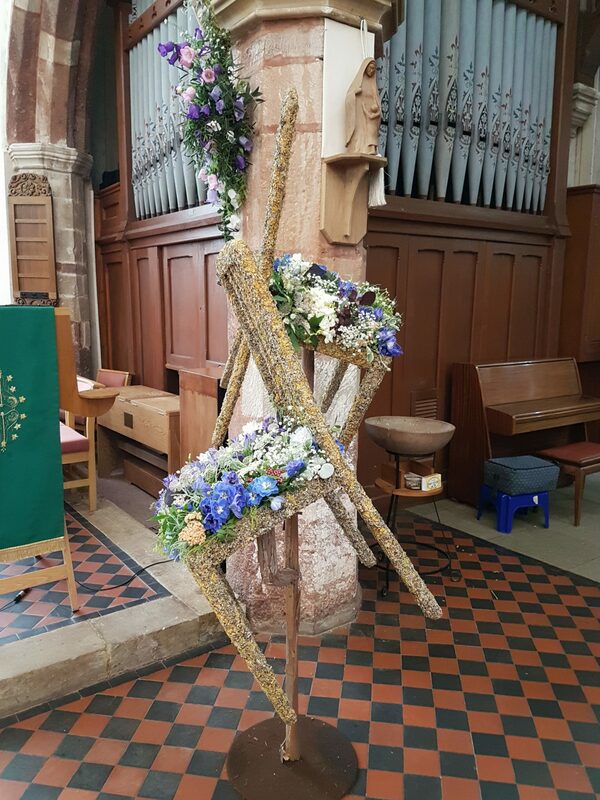 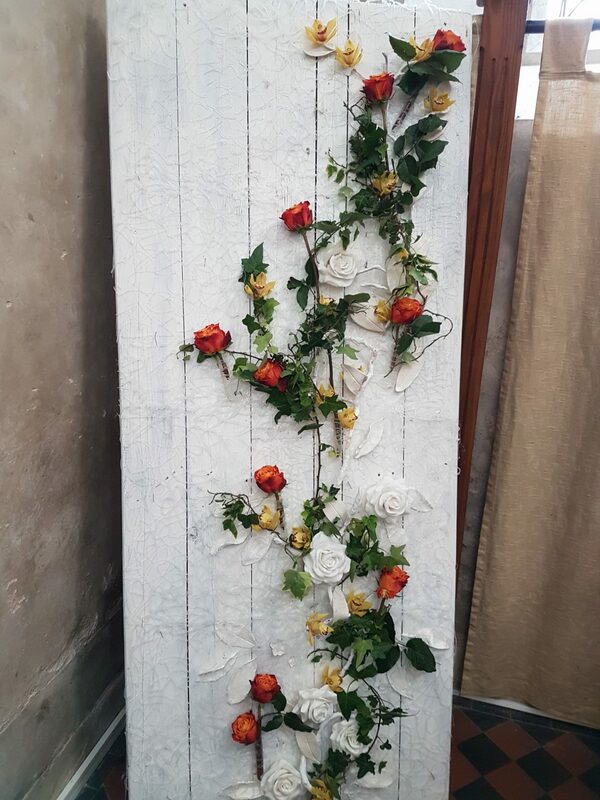 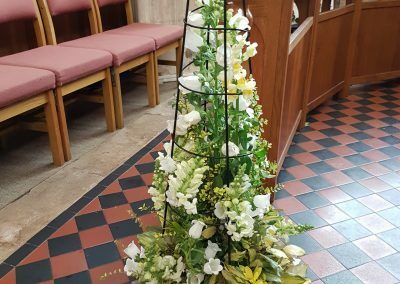 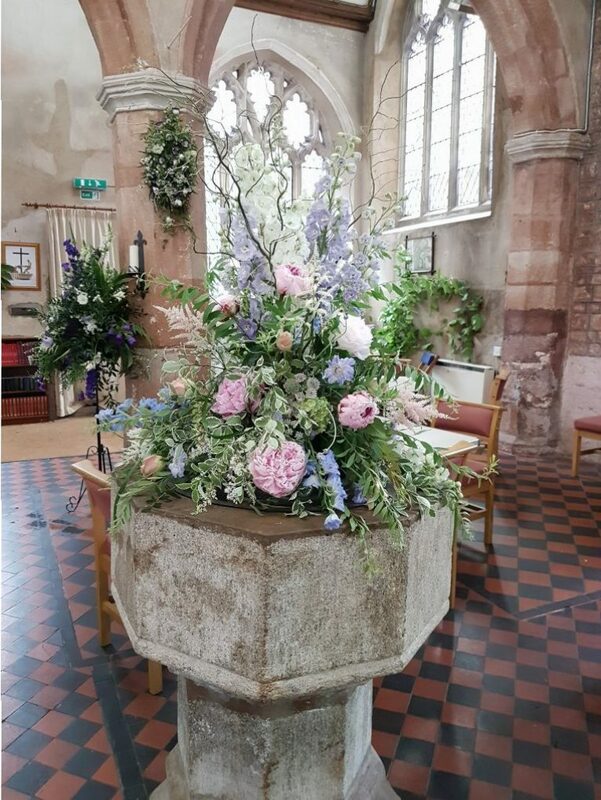 We are always looking for extra course activities that help the students show their skills, and this was an inspiring task which involved creating some large floral designs. 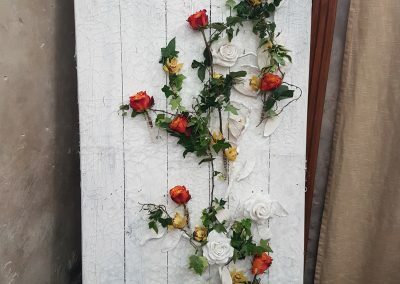 We asked students from all levels to help and got together a team of 16 talented students and spent two fun days creating beautiful designs and here are the results. 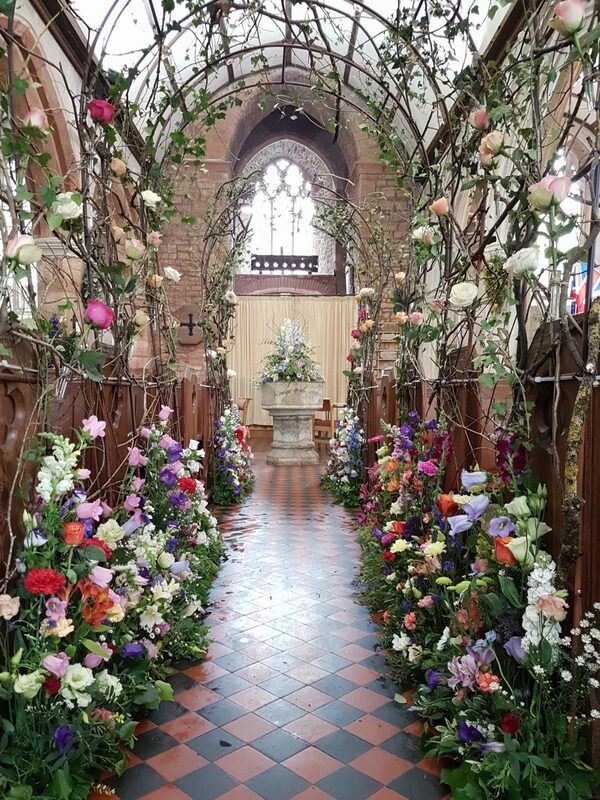 It was an excellent opportunity for the students to practice large-scale designs, working together as a team and creating a fantastic event that was viewed by the public and it was a great success. 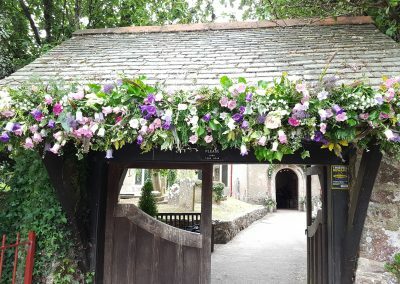 The class in Newton Abbot is currently full, so you can’t find it on our website. 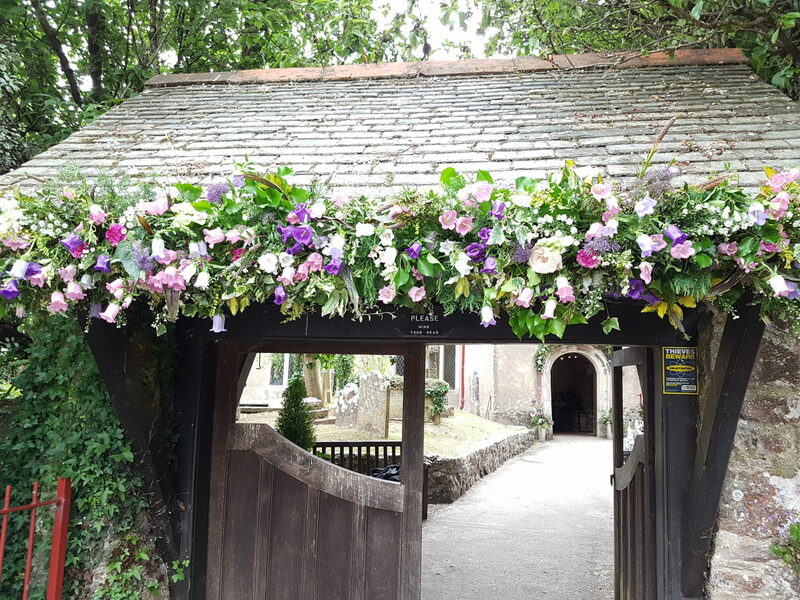 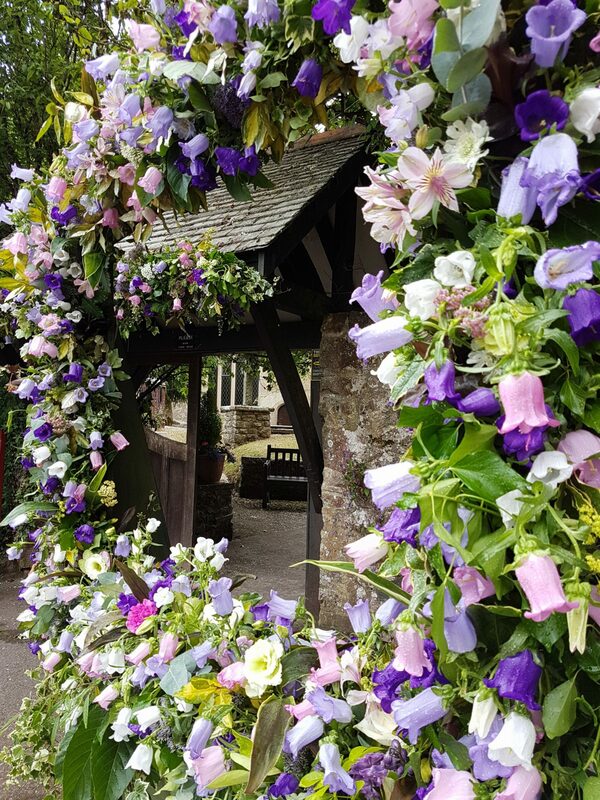 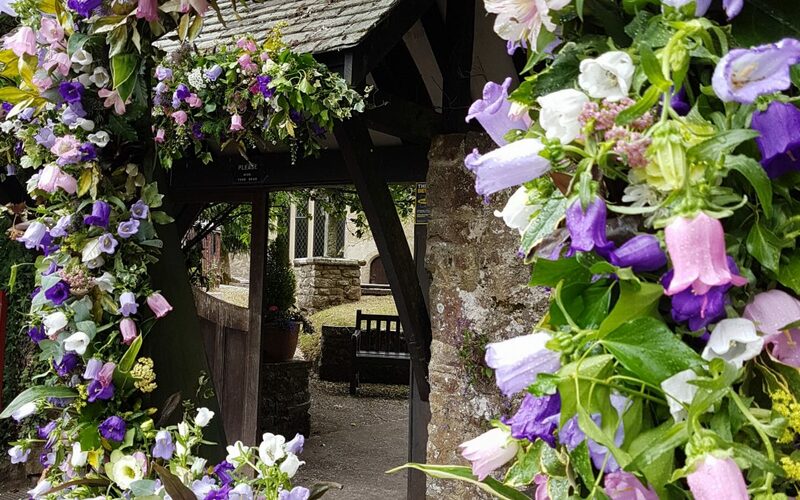 But if you are an experienced flower arranger and want to join this group who meet at Buckland Athletic Football Club, Newton Abbot on Thursday morning 10.00am to 12.30pm, then please give me a call on 01392 834893, and I will let you know when space comes available.